Each year Cambridgeshire County Council awards small grants to the non-University of Cambridge Museums Accredited museums. The funding is from the ACE Museum Development Programme for the East of England through SHARE Museums East. In 2016-2017 grants were up to £1,000 and were allocated in November 2016 for projects to be completed by April 2017. Museums were required to demonstrate how their plans fitted with ACE’s five goals and with their own forward plans. The projects could be for any aspect of the museums’ operations but could not be used to cover core costs (e.g. staff). 12 awards were made, with total value of £11,381. There was a preference for projects which were innovative and likely to be of interest and value to other museums. The Museum used their grant to provide a much improved ‘welcome area’ which not only enhances the visitors’ experience but also provides a warmer working environment for staff and volunteers. There is also a ramp for improved access for wheelchair users. 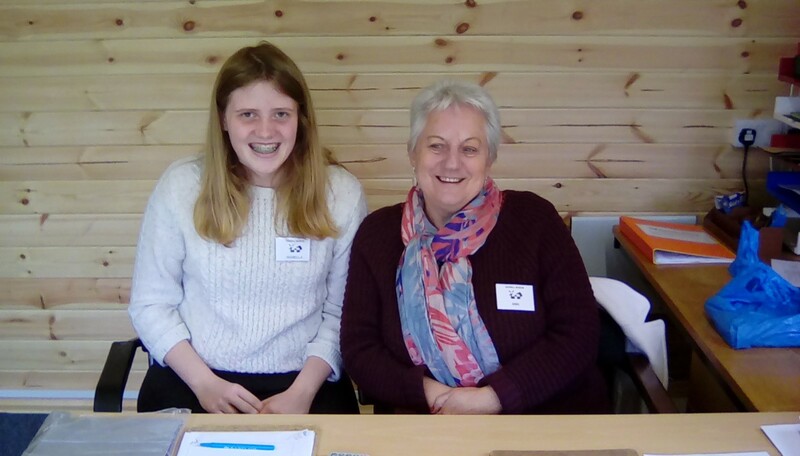 The photo shows two of the Museum’s volunteer receptionists, Anne and Isabella, in the new facility. In response to a security report provided by Phil Wheeler of the Fitzwilliam Museum, the Museum applied for a grant to install high quality CCTV which is now operational. It is not appropriate to publish details of the system here but the Museums Partnership Officer will be happy to provide more information to other museums on request. The grant was used to provide a full condition survey by a conservator of items that are likely to form part of new displays in a redeveloped Ely Museum, with the focus on the most vulnerable items and those currently in storage. The conservator produced, alongside the condition survey, an estimate of the costs of any work needed to be carried out before displaying each item. This will feed into the Museum’s stage two application to the Heritage Lottery Fund for redevelopment of Museum, stage one having since been successful, and to inform future grant applications. 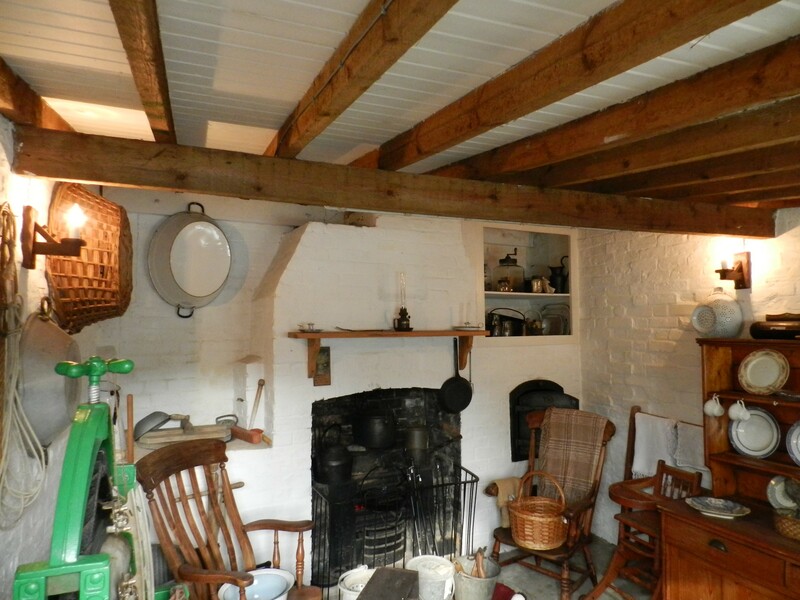 The grant allowed the Museum’s volunteers to renew lighting and install new windows in the annex area and in the cottage and forge displays in the Museum courtyard. This has greatly improved the look of the displays and has transformed the availability of the spaces for storage and as working spaces. 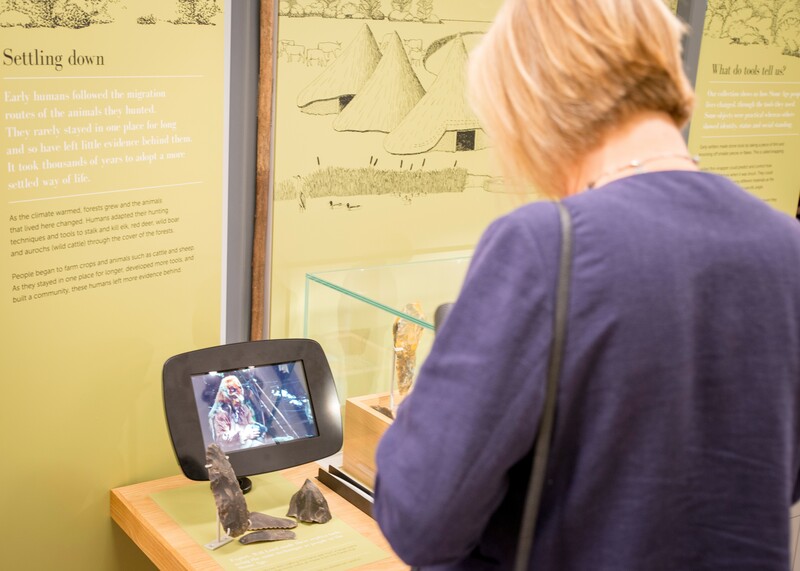 As part of the Museum’s superb HLF-funded redevelopment completed in July 2017, the grant allowed the production of a film about the manufacture of Stone Age implements. The film, which is integral to the displays about ancient Huntingdonshire (see photo) was made with Will Lord. Will is a specialist replica maker, who is shown making flint tools in the film, wearing ‘Prehistoric’ clothing including a cloak made of a fox hide. 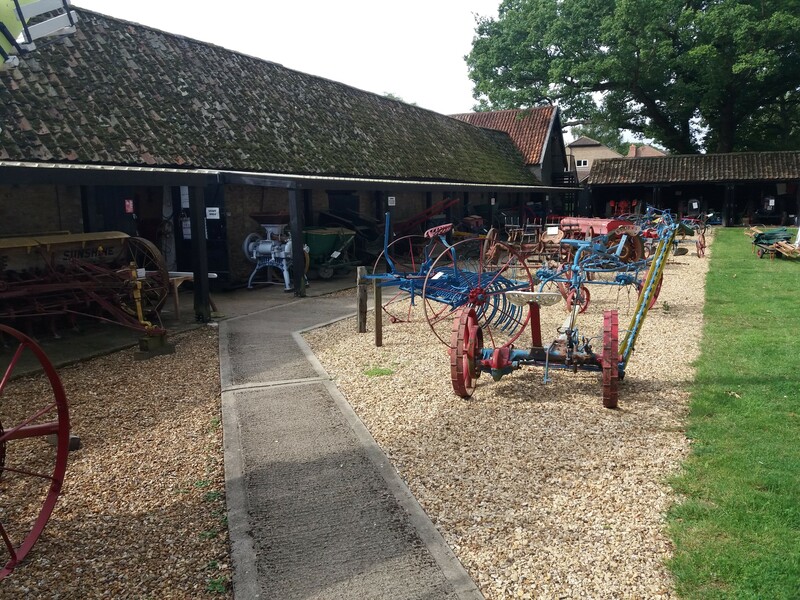 The grant enabled the Museum volunteers to dig up several areas of grass on which various large items of farm equipment are usually on display. The ground was then covered with gravel to provide a well-drained surface for the items to stand on, thus avoiding having to move the items every time the grass needs cutting! This saves energy and reduces risk to the items. The project was to improve and control environmental condition in the Art Gallery in order to deliver high quality exhibitions including loans from national museums. This was also planned to support the completion of an ACE Small Capital Grants Scheme project to improve the security of the Art Gallery to Government Indemnity standards to allow loans from national museums. 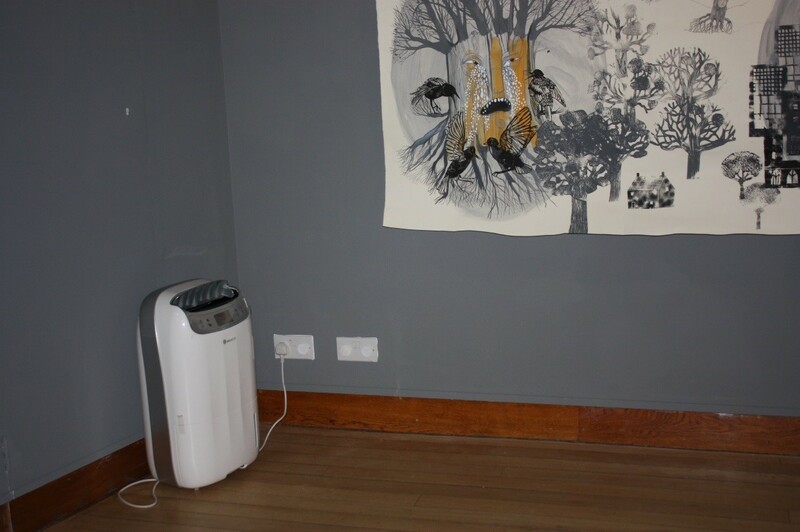 This project addressed the environmental element and involved purchase of three de-humidifiers, one for each gallery space (see photo), and two data loggers to aid monitoring in the space. This equipment not only allows the Museum to delivery high quality exhibitions, but is also available for other museums to borrow within the Cambridgeshire area when not in use. The grant enabled the Museum to substantially improve opportunities for ‘early years’ children (aged 8 and under) and their families to experience, be inspired by, and learn from the collection. 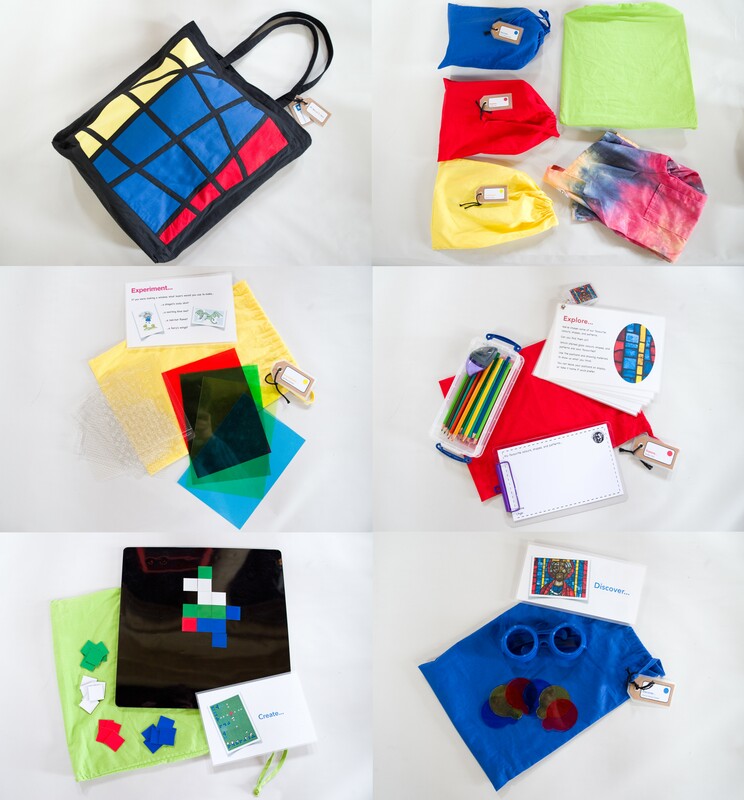 The project produced designed to support families to actively engage with our collections; it facilitated the development of six free-to-use Discovery Bags (see photos) and a storytelling session aimed at Key Stage 1. The grant also facilitated the delivery of three informal drop-in events targeted at families with children aged 8 and under. The grant enabled the Museum to replace the old air conditioning system in the downstairs galleries. The new system is much more efficient, environmentally friendly, more robust and easier to control. The system is essential to maintain the temperature and humidity in our galleries where original items are on permanent display. It is having a major impact on the Museum’s early history gallery downstairs and our temporary exhibition gallery. 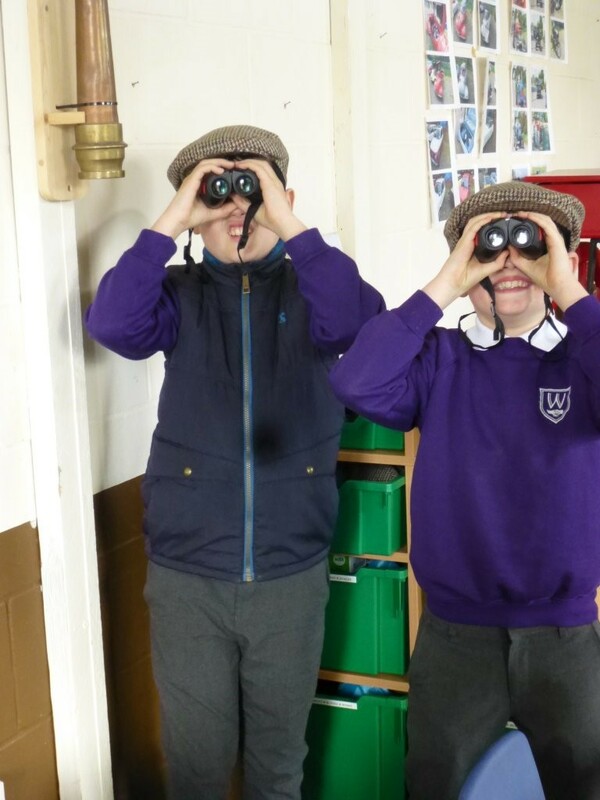 This grant paid for the materials required to for the Museum’s expert volunteers to complete the next stage of the ongoing improvements to the two yards and Prefab building (see last year’s report for details of the first stage of the improvements). Now all museum objects and equipment are in their final positions in these spaces, and half of the Prefab building is now a temporary exhibition space. 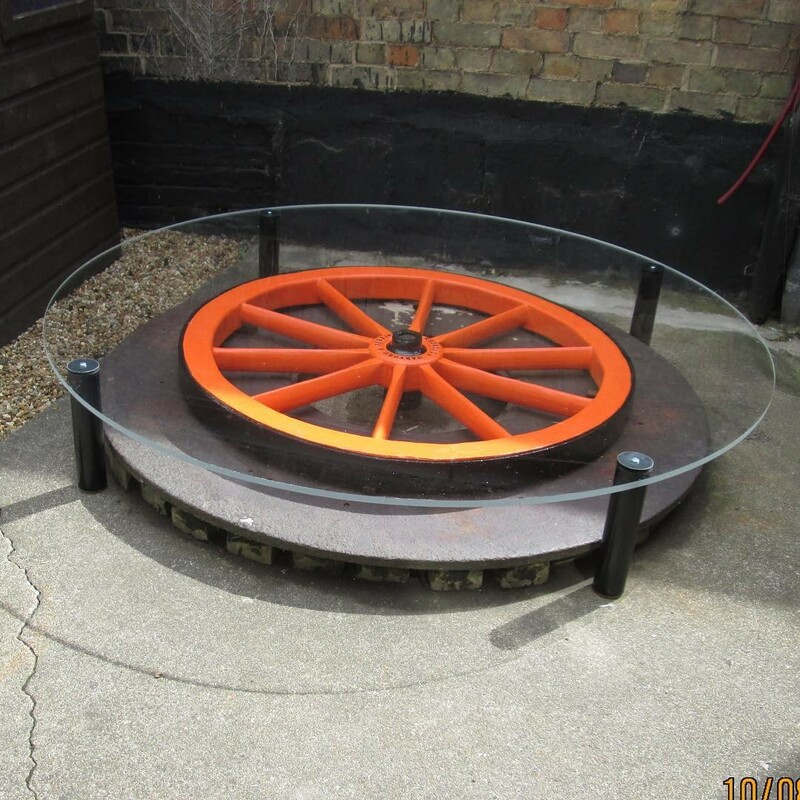 The photo shows the large Perspex disc installed over a wooden wheel to protect it from rain, pigeon fouling and falling moss. The grant was used to purchase a range of conservation supplies, as recommended in Deborah Walton’s conservation audit in April 2016. 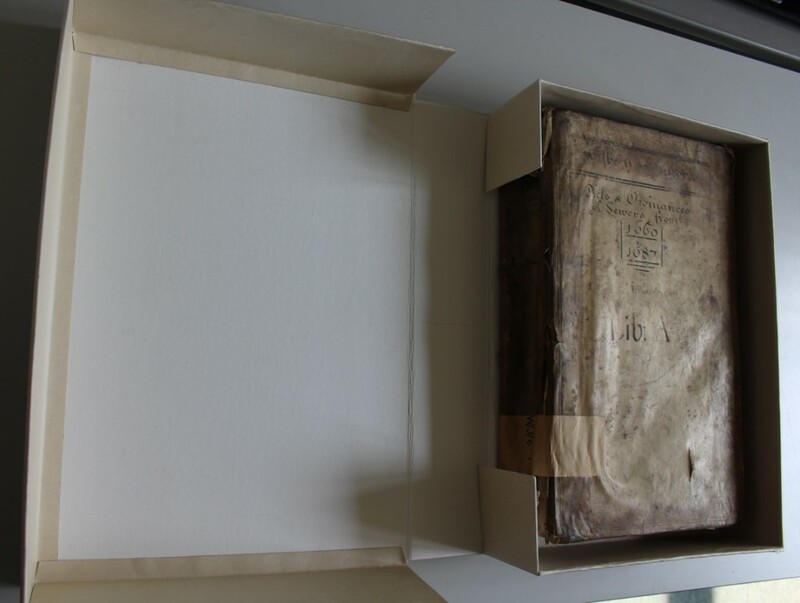 As part of an inventory of parts of the collection, designed to improve storage conditions, the museum acquired materials to make custom archival storage boxes (the photo shows a volume of Court of Sewers records from 1660-1687 being re-stored in a custom clam shell box). The grant also covered the costs of new pest traps and Econospace spacers for use with glazing for pictures.